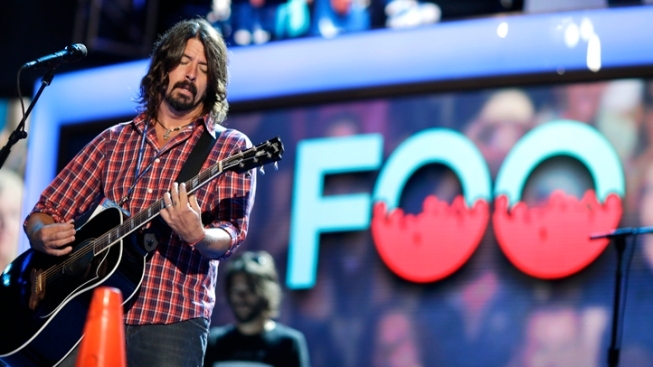 Foo Fighters hit San Diego in September -- finally! San Diego, where you at? Have you supported a local band lately? Or a touring one? Soon we will have another venue to add to the already overcrowded "live" music scene: Look for the Music Box to open in the old Anthology space in Little Italy. Lately I feel like people are more interested in the latest local beer -- go see a show, most local venues carry local beer now. Fall in SD is beautiful, since all the tourists have gone home, and we get our city back. Go support one of these local or touring bands and take a friend! It's a mandate! Sept. 2: Millencolin at Obvservatory North Park. Swedish punk-rock band influenced by bands like Operation Ivy, the Descendents and NOFX. Sept. 3: The Damned at Sycuan Casino. They are the first punk band ever! Sept. 4: DaM-Funk, Cookie Crew DJs, Brougham d'Elegance at Casbah. Modern funk for your soul. 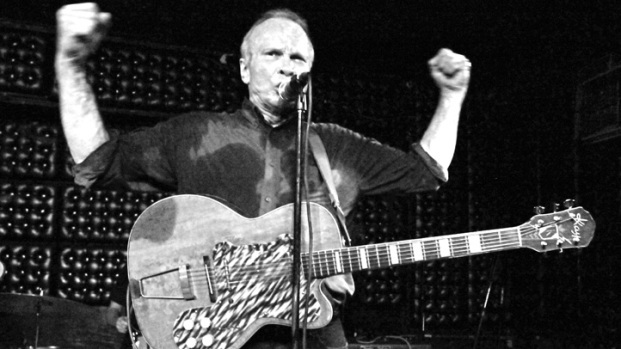 Sept. 5: The Blasters, Fanny & the Atta Boys, the Bedbreakers at Casbah. American roots band that is known for playing shows with X and Black Flag, going back to the '80s. Sept. 6: Cat Power at Belly Up. Chan Marshall is Cat Power, and she's pretty legit. Sept. 7: Craft Spells at the Hideout. New Wave, post-punk revival. Sept. 8: Diet Cig at the Hideout. From the band's bandcamp page: "Two homies just making tunes and eggs on the regs." Sept. 9: Man Man, Shilpa Ray at Casbah. Everything but the kitchen sink. Sept. 10: The Get Up Kids at Observatory North Park. Emo lives! Sept. 11: Mystic Braves, Muscle Beech, the Creation Factory, Amerikan Bear at Casbah. A night of psych rock. Sept. 12: Mr. Tube & the Flying Objects, the Creepy Creeps, Tropical Popsicle, DJ Claire and Mr. Mazee at Casbah, Mr. Tube is back and with a new album. Sept. 13: Willis Earl Beal, Like a Villain at Casbah. Experimental indie rock. Sept. 14: The Who with Joan Jett & the Blackhearts at Valley View Casino Center. We are the Mods, we are the Mods, we are the Mods! Sept. 15: Wavves at Observatory North Park. Local boy returns for a hometown show. Sept. 16: Hum at Belly Up. They have a song called "Stars," and it's a classic. Sept. 17: Mew, the Dodos at Observatory North Park. Danish alt-rock. Sept. 18: Chris Cornell at the Balboa Theatre. It's the dude from Soundgarden. Sept. 19: Mike Krol at Seven Grand. Power-pop rock. Sept. 20: Lucy's Fur Coat, Madly at Casbah. Rescheduled show, and they play Saturday as well. Local legends! Sept. 21: Systems Officer, Birdy Bardot, the Lulls at Casbah. Zach from Pinback, 'nuff said. Sept. 22: A Place to Bury Strangers at Soda Bar. This show will be loud and awesome. Sept. 23: Joywave at Casbah. Indie-electro band from NYC. Sept. 24: Lou Barlow at Casbah, or the Lemonheads at Belly Up, or Foo Fighters at Sleep Train Amphitheatre? Options! Sept. 25: The Coathangers, Birth Defects, Flames of Durga, Shady Francos at Casbah. Punk rock, rock and more rock. Sept. 26: Adams Avenue Street Fair. Two days of music! Sept. 27: Duran Duran at SDSU Open Air Theatre. Eighties new-wave pop band returns. Sept. 28: Swervedriver, Gateway Drugs at Casbah. Soundscapes of sound. Sept. 29: Years & Years, Tei Shi at Observatory North Park. British electronica founded in London. Sept. 30: Van Halen at Sleep Train Amphitheatre. Best frontman ever -- or one of them at least. Thanks for reading and for your support! Please go vote for me here in the "San Diego CityBeat" 2015 Best of San Diego Reader's Poll. I'll see you at a show!